Yes, We have a USDA permit to ship Monarch Butterflies for release to Connecticut.. Connecticut has an average temperatures above 62°F with the minimal change of a Freeze from Mid May through the End of September. You may safely consider having a Connecticut butterfly release anytime the outside temperature is above 62°F and there is no possibility of a hard freeze in the forecast. Elizabeth Park was willed to the City of Hartford Connecticut to be used as a horticultural park by Charles M. Pond. 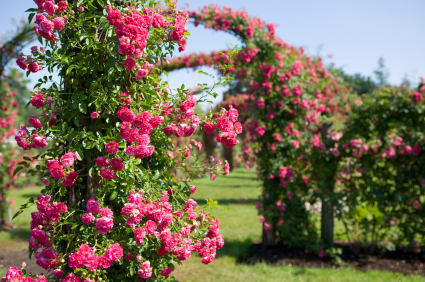 The City hired Theodore Wirth, who as the first Superintendent of the property created a rose garden to please the public. The park consists of over 100 acres of gardens, pathways, greenhouses, ponds and recreation areas, but the Rose Garden is still the center piece of Elizabeth Park. Mr. Butterflies provides Live Monarch Butterfly for release in Connecticut at all kinds of different events. Consider having a Butterfly Wedding, a Butterfly Funeral, a Butterfly Memorial, a Butterfly Birthday, a Butterfly Graduation or just a Butterfly theme party.